To travel to Russia, most foreign nationals are required to have an Entry Visa to Russia. 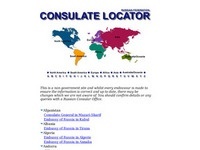 Russian visas can be obtained at local Russian Embassy or Consulate. To have a visa issued, an official invitation processed by Russian governmental or officially authorized companies is required. More on visa requirements for Russia. Nowadays many respected travel organizations are ready to help you obtain visa support or process your Russian/CIS visas. As visa processing takes time and there has always been great demand for visa services, companies oftentimes can hardly handle all the requests though cost of visa to Russia remains quite high. As a result you have to wait, and then you get nervous and start looking for another visa provider hoping for the best. 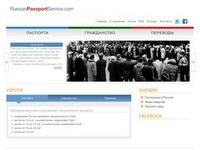 In order to avoid such annoyance we offer you express Russian visa online services for fair price. 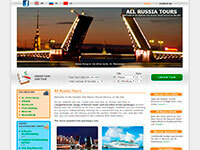 All online requests are processed immediately by our Moscow (Russia) office. We know that visa processing can turn to be difficult and time consuming. We understand how important it is for a client to obtain correct and up to date information. We also take care of our clients and try to provide excellent service. Once we receive your online visa application for Russia, you will immediately be provided with quick and professional support. Our friendly staff will consult you on-the-fly on all visa issues.